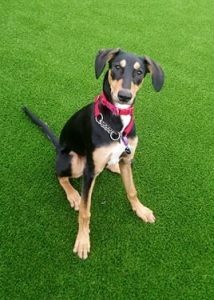 Charlie was born around September 2018 and is a Saluki cross type. 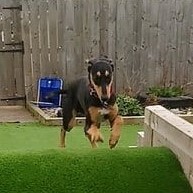 Charlie has had a few issues in his home that has led him coming in to us for rehoming. Unfortunately he was also being left for long periods which led to inevitable boredom chewing. 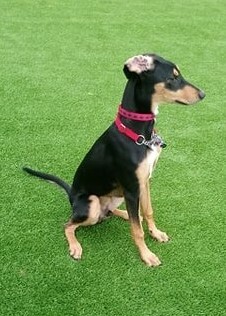 Charlie can be fearful on first meeting but with the correct introductions we have found him an absolute delight. 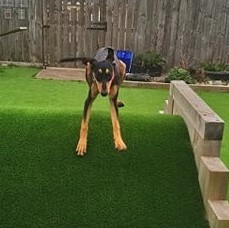 It will be essential that Charlie goes to training classes so he can be socialised correctly around dogs and people so his fear does not carry on into adulthood. So far Charlie has walked well around the other dogs and has been clean in his kennel overnight. 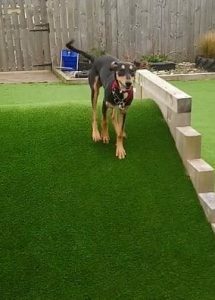 We are aware he has had a bad experience of kennels in the past so are keen that his experience with us will change that and so far it is going well. 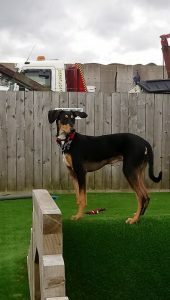 Although we are aware Charlie has lived successfully with children we do not feel a busy household will suit him until he has had additional training so we are looking for an adult only home for him for the moment. 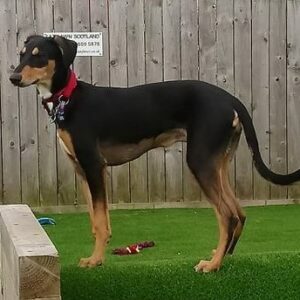 Subject to successful introductions it is quite possible Charlie could go with an easy going, probably neutered female, dog.